1. Cook edamame according to package instructions, let cool. 2. 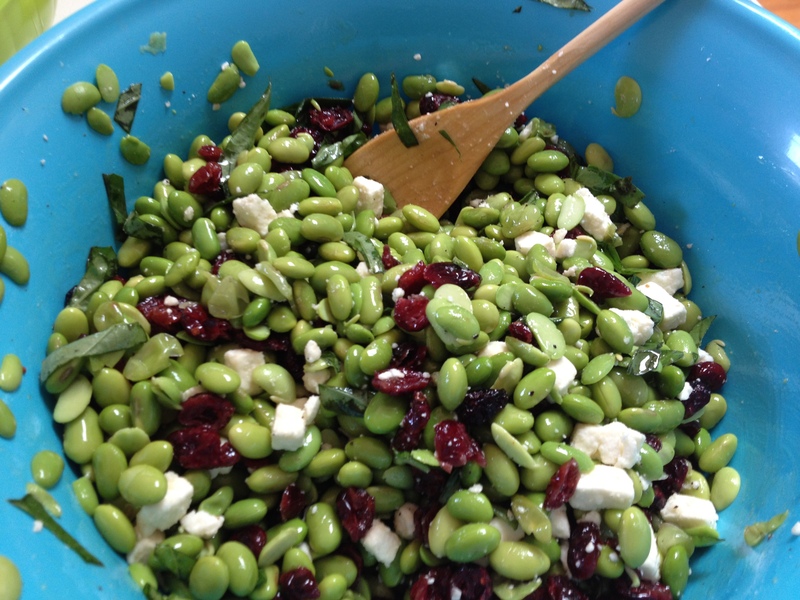 In large bowl mix edamame with feta and dried cranberries. 3. Toss with olive oil and salt and pepper, refrigerate until ready to serve.